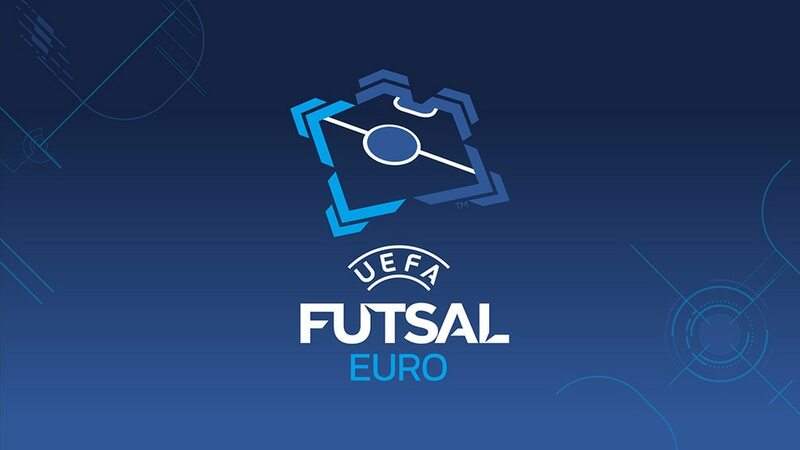 Choosing the most memorable matches from nearly two decades of UEFA Futsal EURO action is no easy task, but for skill, passion and sheer excitement these six take some beating. The first official final set the bar high as Spain discovered they would not have things all their own way on the European stage. The match flowed back and forth with the 'Tsar' of Russian futsal – the late, great Konstantin Eremenko – hitting his side's third. Javier Lorente's second goal for Spain took the game into extra time, but after a scoreless additional period it was Russia who captured the historic first crown when Eremenko stroked home the winning penalty. Spain's success down the years owes as much to their refusal to ever accept defeat as it does to the brilliance of their players – and in Porto they dug deep to eke out victory when the home team looked sure to get to their first final. With six minutes left Portugal were 2-0 up, Ricardinho raising the roof with a brilliant scissor kick for the second. As ever, Spain held their nerve and battled back to force extra time before prevailing on penalties. A point was all hosts Hungary needed to reach the quarter-finals and there appeared little danger of missing out when they jumped 4-0 in front shortly after half-time. Then the wheels fell off. The Czech Republic pulled a goal back, then struck four more in six incredible minutes to take a 5-4 lead and leave 7,000 home fans in despair. The drama, though, did not end there. Zsolt Gyurcsányi picked Hungary off the floor by equalising with a minute to play, only for Marek Kopecký to break local hearts with the Czech winner 15 seconds from time. Europe's heavyweights met in their third UEFA Futsal EURO final, with Spain targeting a fourth straight title. They succeeded in reclaiming the trophy, but only after José Venancio López's side once more came back from the brink. In a tight contest, the deadlock was broken with seven minutes left as Pula fired past Luis Amado in the Spanish goal. The holders pushed to restore parity and the pressure increased when Cirilo was shown a second yellow card. Still Russia resisted – until, with 34 seconds to go, Sergio Lozano finally beat the brilliant Gustavo with a deflected shot. Mentally and physically drained, Russia faded in extra time and Spain scored twice more to seal an intense, nerve-wracking triumph. With a quarter-final place at stake, Azerbaijan and Serbia went for broke, producing the highest-scoring match in UEFA Futsal EURO history. It also boasted the competition's fastest goal, with Felipe giving Azerbaijan the advantage after eight seconds. Four times Azerbaijan were ahead, only to be pegged back on each occasion. They were even able to recover from 7-5 down before eventually succumbing to late strikes from Bojan Pavićević and Vidan Bojović. In fact, Bojović scored five in all – four for Serbia and a last-minute own goal to keep fans guessing right to the finish. Spain's nine-year reign, and unbeaten streak in Europe, was halted by their old rivals. From the fascinating tactical battle between Sergei Skorovich and Venancio López, to the players' mental and physical intensity and utter talent, this was modern futsal at its best. And of course it was tight until the end. Once again Spain trailed as the clock ticked down and once again they fought back to earn extra time. However, now Russia would have the final say, Robinho settling matters with 66 seconds left to ruin Spain's quest for a fifth successive title. This article appears in the UEFA EURO 2016 official programme. Download your copy here. On the move from Shakhtar Donetsk, Alex Teixeira honed his craft playing futsal as a youngster, like countless Brazilians before him. "It's where you learn everything," he said. Two winters ago Ortiz watched from the sidelines, suspended, as Spain's nine-year UEFA Futsal EURO reign was ended by Russia but the captain thinks they can make amends in Belgrade. The official UEFA Futsal EURO 2016 programme featuring interviews with Dejan Stanković, Alex Teixeira and others is out now and available to download for free.